Microsoft has announced that they are suspending the availability of pre-release builds of the new OS to Windows Insiders, Additionally, the company will halt delivery of ISO-based versions of the current Windows 10 build starting tomorrow. In an updated blog post, Windows Insider chief Gabriel Aul notes that Windows 10 is “very close” to the final, RTM (release to manufacturing) build, and the company wants to get everything just right for Windows 10’s July 29 release date. Previously-made available builds will no longer be offered on Windows Update. 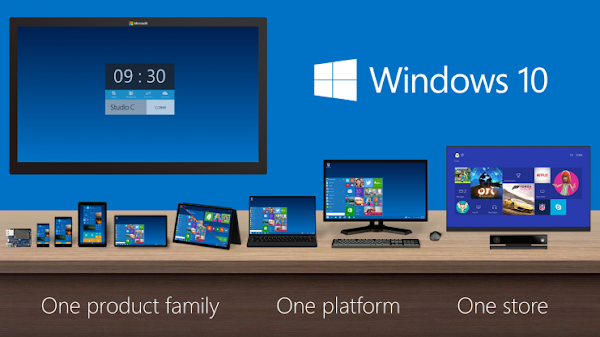 Build 10162 (Slow ring) and build 10166 (Fast ring) will no longer be offered over Windows Update. No more Preview ISOs. Downloadable ISO files for build 10162 will be taken down from the Windows Preview web site. Pre-release keys will no longer activate builds. This is a big one, obviously. To date, you could use these keys to activate Windows 10 Pro or Home. Microsoft says it will announce its next build soon via a blog post, the Insider Hub, and on Twitter as usual. Insiders will be first to get the update to Windows 10 when it launched on July 29. Everyone else who’s running Windows 7 or later and who has signed up for the free update should get Windows 10 through the Windows Update process some time after that.